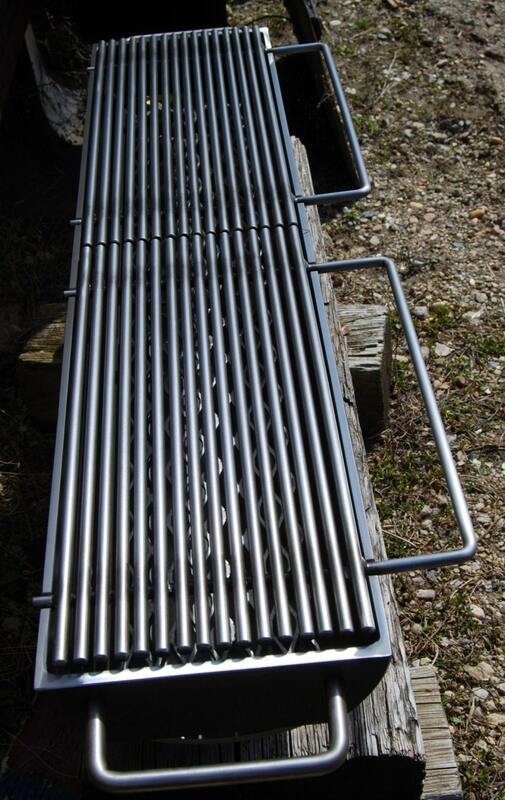 This hibachi grill, inspired by many popular requests, is the very first of a series of larger commercial quality charcoal grills made in the Kotaigrill shop. 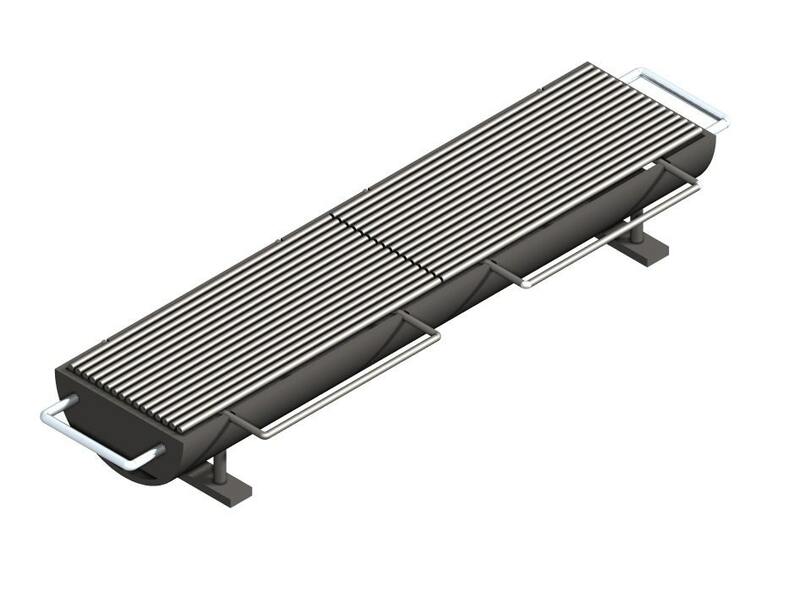 The design and construction of this 836 grill follows the same as the 824 grill, other than it has a 8" wide and 36" long, double carbon steel grate, grilling surface. End plate handles are the same welded stainless steel handles as the 824. 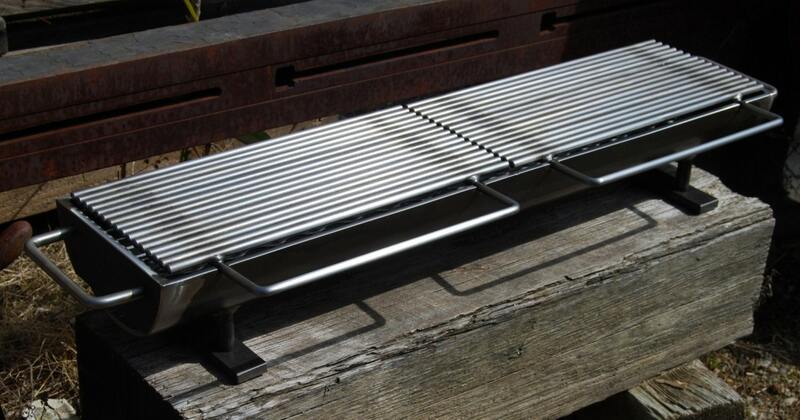 This charcoal fired grill is designed for heavy and demanding commercial use, but also may be suitable for home use if you are comfortable working with some serious fire. Built like any Kotaigrill Hibachi grill, it is constructed of heavy gauge carbon steel, welded into a solid, indestructibly durable device to last a lifetime. If you are serious about grilling, as this grill has no equal, it is exactly what you need to demonstrate your talent on a larger scale.